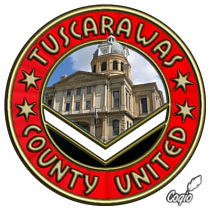 Calvert is the manager of Tuscarawas County United, currently in III.7 in the United States. He started playing the game on 26 February 2004 and was initally placed in V.76. The team was first called the West Amherst Crusaders. They were renamed Æthelmearc AC at the conclusion of Season 25 upon their promotion back to D.V and were once again renamed to Niagara Rapids FC at the beginning of Season 35 in a marketing campaign meant to coincide with the combination of their franchise in Hockey Arena. They were renamed again upon relocation to Eastern Ohio after the end of Season 41. They play at Quaker Stadium, an 82,000-seat facility located in New Philadelphia in the Ohio region. In real life, Calvert is a former US Army sergeant in the military intelligence field, serving from 1981 to 1990. In 2001 he retired from the US Postal Service and is permanently disabled. He has been involved in the Society for Creative Anachronism since 1984. He was also the commissioner of the Hattrick Simulated Champions League as well as Vice President (or as he prefers, President of Vice) of the Gathering of the Adirondacks League. Calvert is a senior member of the Wing - Market & Discussion federation and has been named a Senator of the WMD. In April 2007 he became the first multiskill scout for the Taiwanese National Team and U-20 team and served until February 2008. TCU is currently undefeated (10-0) in the US Country Challenges traditionally held at the end of the season. The wins have come against Hotdog Group (22), Haifa Sixers (23), Queensland's Finest (25), C.A. Tense (26), Sept (27), Borgs Utd (28), Shine of Metal (29), DP Tapitas (30), Victorian Mandarins (38) and Ashkan (41). The team did not participate in the Season 24 and 32 challenges against Mexico nor in the Season 31 challenge against England due to hostile commentary by the US mods and GMs. There were no competitive challenges between seasons 33 and 37. A player's name in bold indicates that the player is currently on the roster. A player's name in italics indicates that the player has retired. This page was last edited on 26 July 2010, at 06:35.